In the last few weeks we have seen three public examples of “open mouth, insert foot” that have provided different levels of shame, misguidedness and opportunities to right real and perceived wrongs. Cracker Barrel initially took a stance by pulling Duck Dynasty merchandise of off the shelves, only to place the merchandise back on the shelves when perceived public perception (read dollar signs) seemed to fall on the side of the Duck Dynasty clan. For his part, Robertson stands by his comments which he says are taken from scripture and individuals and companies like Sarah Palin, FOX News and others back him, citing free speech. Every day is something new. Reports are saying he’s back on the show and according to the Chicago Tribune, in a recent announcement, Jesse Jackson Sr. compared Robertson’s recent comments about African-Americans, gay people and women to comments made by the driver of Rosa Parks’ bus. 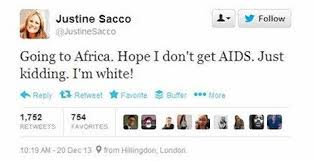 She added that she is a native of South Africa and was upset that she had hurt so many people there. “That they sounded alike in this rare and particular context struck me as funny. That was the joke. When the tweet went out, I saw some negative comments and immediately deleted the tweet and apologized. I gathered the perception was that I was making fun of African American names. Later, thinking it over, I realized the tweet was irresponsible, and made a fuller apology on Twitter,” he added. Martin added that he was cited incorrectly by some media outlets, who have yet to correct their misquoting of his tweet. But in the end, he again took responsibility for the blunder. 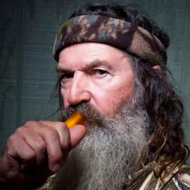 Phil Robertson does have the “right” to believe what he believes. We all do. What is unfortunate is we are at a point where thoughts – right or wrong; left or right – are amplified and exasperated. Individuals and groups seem more concerned with furthering agendas instead of getting to the heart of the matter. Should we be taking everything written in scripture verbatim? Would it be helpful/healing to open real conversations where we can better understand why…who…when? 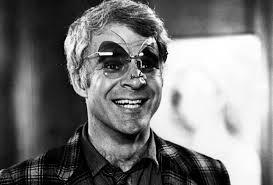 From a PR and social perspective, Steve Martin handled things great. He apologized. Took all the blame and explained the “backstory” of what he did. Unfortunately, but not surprisingly, “news outlets” distorted his tweet to make a better (and less accurate) story. Bottom line, this isn’t the last we will see of situations like these. As long as we continue to care about “public figures” and the definition of “public figure” continues to expand; and as long as groups and individuals wanting to push forward agendas and personas are opportunistic; and as long as businesses have a stake in things; and as long as we all like being social and consider it social to hit someone when they are down; well, you get the idea.